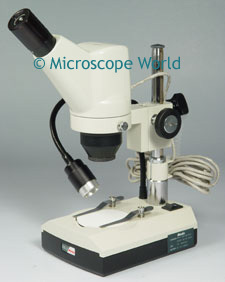 The Motic DS2 digital kids microscope has 20x and 40x magnification. 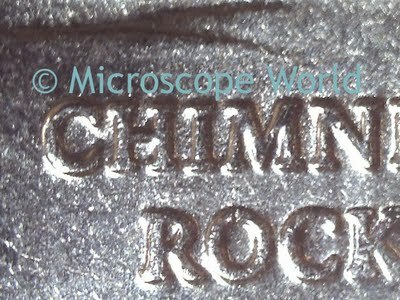 The microscope connects directly to the computer and will allow you to view a live image on the computer with the included software. Capture and save images, make measurements and even create your own photo album. This quarter was captured at 20x magnification with the DS2 digital microscope.